The 67th Congress of the European Federation of Wooden Pallet & Packaging Manufacturers (FEFPEB) was held this year in Brussels. Delegates heard that renewable business systems are going to be at the heart of the European Union’s economic policy. To underline this, FEFPEB president Rob van Hoesel gave a welcoming address in which he cited wood pallets as a leading light in renewables, standing apart from all other raw materials as a perfect example of the growing ‘Circular Economy’ which the European Union is aiming to achieve. Unlike other materials such as iron or steel or plastics, wood is a truly sustainable resource, with managed and regulated forests already run under EU legislation. 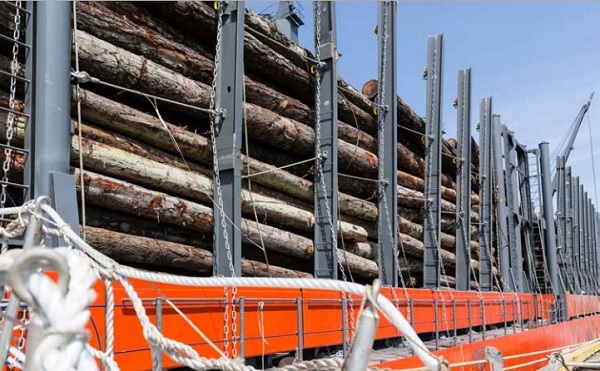 “In the EU as a whole the stock of timber is still growing and most forests are sustainably managed under FSC or PEFC certification schemes,” Van Hoesel said. He added that as wooden pallets can be repaired, reused and ultimately recycled for a range of uses, such as biomass fuel, this sector is “the ultimate example of circular thinking”. The president added that the industry had to overcome the negative publicity it is facing from various groups and NGOs (Non-Governmental Organisations) which were inaccurately associating these ecologically sound products with the tragic depletion of tropical softwood forests. He stressed that the FEFPEB would have to work harder to emphasise the true facts to politicians and civil servants, who were increasingly listening to the nay-sayers rather than acknowledging the indisputable facts coming from their own sustainable industry. Further information on the European Union’s stance on renewables and its intention to reduce its own ecological footprint was provided by MEP Jan Huitema. He said that this policy would increasingly affect EU legislation and that the wooden pallet and packaging industry, with its proven record, was in the perfect place to benefit from it. Continuing this chain of thought, a presentation on wooden pallets at the heart of the circular economy in the context of ‘the seven pillars of the circular economy’ was given by Patrice Chanrion of the French association Sypal. Chanrion stated that the industry must look to its inherent advantages, and he suggested a seven-point action plan. These key points were that the industry must ensure it secures renewable raw materials into the future; that it must ensure long-term traceability on all woods; that it must continue to improve pallet quality and encourage innovation in wooden pallet design and performance; and finally that it should constantly strive to improve and explore new recycling options for its wooden products. Following this theme, presentations were given on the industry’s state-of-the-art technological innovations, including the way in which microwave technology can protect wood against mould and bacteria, that spectroscopy can verify heat treatments in accordance with regulatory standards and information on the very latest in robotic pallet production lines.